Rula Halawani has been invited to contribute to a public exhibition that will be installed along Calle Larga (Long Street) in Jerez del la Frontera, Spain. Coinciding with the Mediterranean Women Forum, a meeting of scholars, dignitaries, and researchers that explore everything from culture to public policy in relation to the lives of women in the region, Mediterráneas features female artists from North Africa, West Asia, and Southern Europe, and seeks to reclaim public space with powerful imagery that demands equality for women. Each artist is represented with a work that is printed on a large banner and hung along the main thoroughfare. 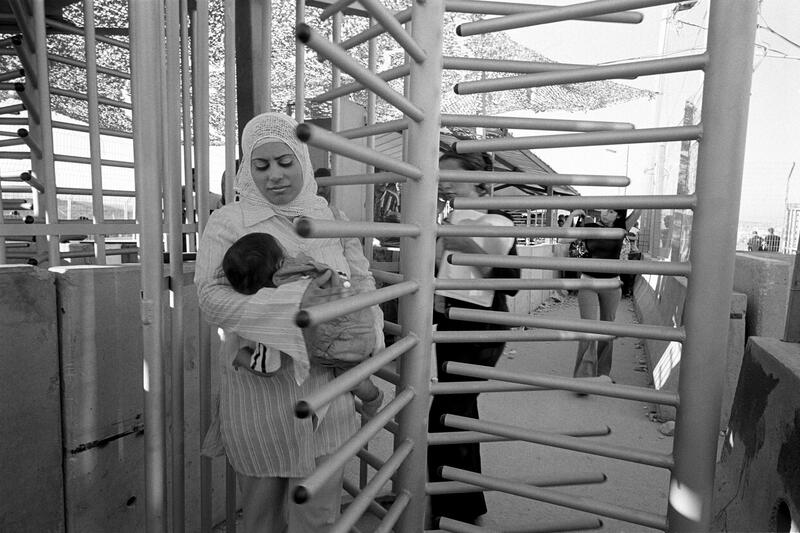 Halawani will show an untitled 2004 black and white photograph of a young woman and her infant daughter passing through Qalandiya checkpoint in the West Bank. The public installation is on view from 15 to 27 May.